New Year have passed and this time, i'll thank 2009 for all the blessings he had for me. Some of you have maybe read my previous post but actually last year was really a blessing year for me especially on career. Let's start. *March 14,15 & 16- My School (STI College-Meycauayan) sent me as the representative for the "AO Training & Seminar 2009" in Antipolo . This is such an achievement for my part and i credit those to MAGS specially to Mam Loida, Sir Arn & Sir Japz. This training is being attended by ALL EMPLOYEE of STI NETWORK NATIONWIDE!! and as a representative of STI College-Meycauayan, being the youngest(17 yrs. old) and a student, -such an achievement for me. Plus, the VP for Communications, Mr. Elbert De Guzman and other heads liked us ( i am with maie) . all i can say is WOW. *May 2009 - although my uncle died, our family got a chance to have a reunion to enjoy and cherish each others company. This is a very memorable part of 2009 for me. I really enjoyed the vacation after long years of not having one and a chance to enjoy my province-masbate for it gave me some memorable memories when i was in grade school(1 & 2). -My mom arrived after 2yrs. of work from Saudi. - I got my very first cellphone (Sony Erickson), got another one again(from mom), and got a new one again(Nokia). haha, imagine? for just a short period of time- for like weeks. I had three units of Cellphones. *June- I had my very first Girlfriend, although we did not last long, still she got me first. *October- Again, I was sent for another training of STI, the "CA Training & Seminar 2009". Representing again our school. And this time, the training is much tougher & Harder!. But from this, i have improved a lot in speaking, hosting & speech. Again credits to MAGS and our org's advisers. 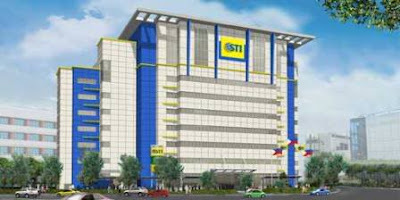 - I had also got the chance to see the new STI ACADEMIC CENTER in Taguig-Speechless again. *December - i had my very first talk, the application of CA Training in Polo NHS. It was an assembly and the crowd was really wild when i talked-Wow again. haha. Actually, i already do COS for our school but this time, i have got the weapons, yeah!. - This time, i have toured at the STI ACADEMIC CENTER, in all floors of it. I am amazed with the facilities, specially at the STI CENTER OF ARTS. Pic1- The STI Center of Arts Lobby. 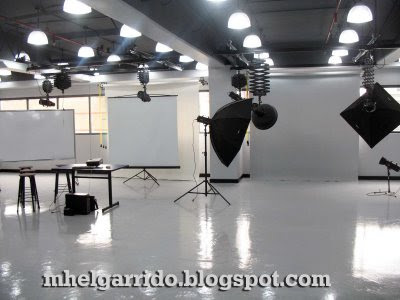 Pic3-The Photography Studio(in which i am planning to enroll myself after i graduate Engineering), also another facility of STI Center of Arts. *Studies: I have learned to do soldering, circuits design, logic Circuits and lot more. A year-end post! Let us say Hello to 2010. ABout your question, I withdraw my money in paypal. I use Union bank EON card , you can apply to your nearest union bank. I think this video could help u :D http://www.youtube.com/watch?v=d6XGxQbOAtA Happy New year! You are blessed indeed. It is good that you picked out the wonderful things that happened to you in last year so as to say that it is not all gloom.